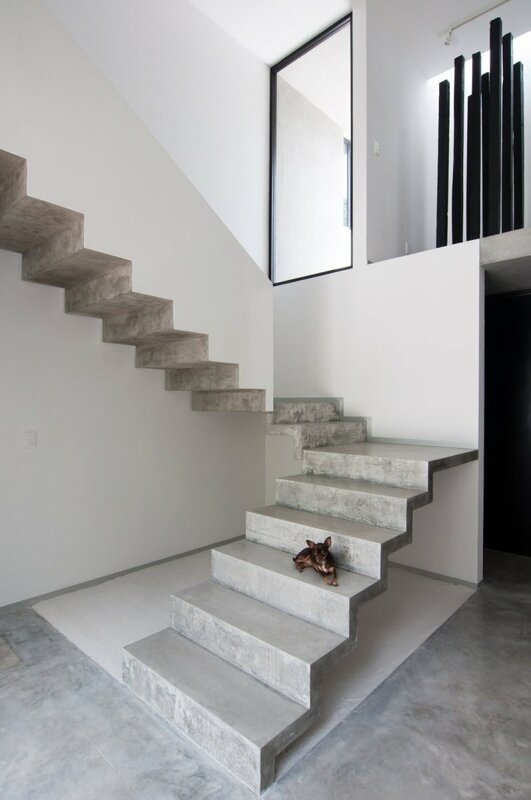 U-shaped cantilevered concrete staircase. Project Casa Garcias in Cancún, Mexico, designed by Warm Architects. Photographed by Wacho Espinosa.